JAKARTA — The sight of commuters, their faces hidden behind masks, zipping around on the back of motorcycle taxis is common across Asia. The bikes weave through gridlock in cities like Jakarta and Bangkok, getting the passengers to work on time. The masks, sometimes worn by both driver and passenger, hint that the air they breathe might not be the cleanest. Judging from World Health Organization figures released on Wednesday, covering 4,300 cities across 108 countries, the commuters have the right idea. Of an estimated 7 million deaths worldwide per year from air pollution, just over two-thirds take place in Asia, which is home to slightly less than 60% of the global population. Breaking the numbers down further, the 10 countries in the WHO’s “South-east Asia” region account for about a quarter of the world’s population but suffer around 2.4 million, or 34%, of all air pollution deaths. The WHO says 90% of the worldwide death toll comes from less wealthy countries, and that “98% of cities in low- and middle-income countries with more than 100,000 inhabitants do not meet WHO air quality guidelines.” Though that number drops to 56% in high-income countries, the WHO estimates that 9 of 10 people worldwide breathe polluted air at one time or another. Air pollution is partly a byproduct of urbanization, which has proceeded at a rapid pace in Asia in recent decades. As of 2015, the proportion of the world’s population that lived in cities had risen to 54%, from a 1990 figure of 43%, according to United Nations statistics. Asian urbanization drove much of the rise. By 2025, the region’s cities will account for 20 of the 25 fastest-growing urban gross domestic products, according to McKinsey Global Institute, a consultancy. “Many of the world’s megacities exceed WHO’s guideline levels for air quality by more than five times, representing a major risk to people’s health,” said Dr. Maria Neira, who directs the WHO’s Department of Public Health, Environmental and Social Determinants of Health. Four of the five most polluted cities listed by the organization are in Asia: New Delhi, Dhaka, Mumbai and Beijing. Sometimes the source of pollution comes from outside the city limits. In Southeast Asia, the burning of peatland and forests to make way for lucrative oil palm plantations — a major cash crop for Indonesia and Malaysia — from time to time causes a choking haze to spread for weeks. The smog covers not only parts of Indonesia but also blankets cities in Malaysia, Singapore and southern Thailand. The growing use of coal-fired power plants also affects air quality in rural areas. Though global coal use is declining, parts of Asia will likely see increased coal burning in the coming years. “Growth through 2022 is concentrated in India, Southeast Asia and a few other countries in Asia,” according to the International Energy Agency. These plants will be built to power the region’s expanding cities, where surging sales of cars — and the two-stroke motorcycles that help those mask-clad commuters get to work — make the air unsafe to breathe. 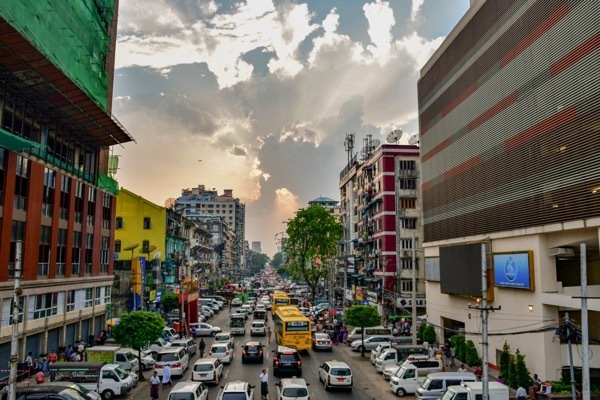 Passenger vehicle sales in the Asia-Pacific region jumped 5.2% last year, with India poised to become the world’s fourth-largest market after an 8.8% increase, according to a report by automotive analyst JATO. The Asian Development Bank, a Manila-based lender, predicts Asia will see overall economic growth of 6% this year and 5.9% in 2019. But the prospect of continued growth and ensuing urbanization means that unless governments prioritize green policies as part of urban planning, air pollution is likely to worsen. Of the 7 million air pollution deaths worldwide, 4.2 million are caused by outdoor pollution — produced by the mix of factories, traffic and deforestation that accompany quick urbanization. Indoor pollution, which is responsible for the rest of the toll, is a symptom of poverty. Around 3 billion people lack clean cooking technology and burn fuels such as wood or kerosene. Separate research has shown that noncommunicable or “lifestyle” diseases are on the rise around Asia as people become better-off, take up less physically demanding urban jobs and eat more processed or sugary food. This has prompted governments such as Singapore’s to introduce measures curbing sugar consumption.